After upgrading at catcher and third base, the Toronto Blue Jays finally addressed one of the glaring holes on their roster; left field. But the player which they used to remedy that need came rather unexpectedly in the form of Michael Saunders from the Seattle Mariners. For the Blue Jays’ perspective, there’s almost everything to like about this trade. Not only do they free up some payroll (to the tune of $6.7 million dollars), but the club also receives a starting left fielder in return. In the process, the Blue Jays also add a left-handed bat to an already predominantly right-handed lineup. So let’s breakdown the elements of the trade, with Saunders coming to Toronto, Happ going to Seattle, and Melky assuredly going elsewhere. It turns out that Michael Saunders is a player that’s been on Alex Anthopoulos’ radar for quite some time, and in his conference call with the media, AA noted he’s attempted to acquire Saunders in the past. It’s pretty easy to see why; Saunders is a versatile outfielder who can play all three positions, he has the potential to steal some bases, he’s a respectable defender, and perhaps most importantly, he just lengthens the Blue Jays starting lineup. 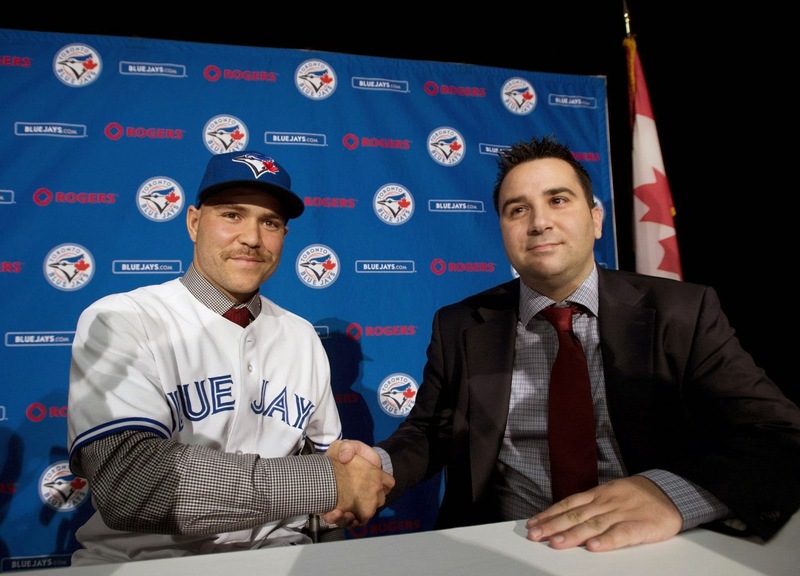 Saunders is also a much cheaper alternative to say Melky Cabrera or Nick Markakis. These two will likely command more than $15 million dollars annually on their contracts, while Saunders projects to make only $2.9 million and is under control for two more seasons. Michael Saunders has definitely had trouble facing left-handed pitching over his career, so John Gibbons may actually opt to employ a platoon in left field with Michael Saunders and Kevin Pillar. Saunders doesn’t come without injury concerns (particular with his right shoulder), and moving from natural grass to artificial turf certainly could unearth even more injuries, but that’s true of any potential outfielder playing in Toronto. The flip side of that is Michael Saunders is moving away from the cavernous confines of Safeco Field and entering a much more hitter haven environment at the Rogers Centre. Saunders already owns a staggering .582 slugging percentage lifetime in Toronto. It seemed like Michael Saunders and the Seattle Mariners had somewhat of a strained relationship, which may have forced M’s GM Jack Zduriencik to get less in return than they would have otherwise. Ultimately, Michael Saunders may not come close to matching Melky Cabrera’s production, but he will provide a portion of it, and at much, much smaller price tag. That’s very important for a team like the Blue Jays that still needs to allocate dollars to other areas on the roster. Just a few days ago, Alex Anthopoulos said that he didn’t foresee trading any of the Blue Jays starting pitchers this offseason. Kind of funny how plans suddenly change, right? It’s conceivable this deal actually only materialized in the last 48 hours, but I wonder what made AA suddenly change his mind about dealing depth from the starting rotation. In all truthfulness though, J.A. Happ only projected to be the Blue Jays fifth starter, and an expensive fifth starter at that with $6.7 million owed to him in 2015. Because the Blue Jays had somewhat of an embarrassment of riches in the starting pitching department, they could afford to trade J.A. Happ this offseason. With this move, it all but paves the way for a promising young starter like Aaron Sanchez or Daniel Norris to take the job. Unless Alex Anthopoulos has another ace up his sleeve and plans on signing or acquiring another starting pitcher. What does this mean for Melky? Like many, I assumed the Toronto Blue Jays offseason was going to hinge on whether they could re-sign Melky Cabrera or not. But after the Russell Martin signing and the Josh Donaldson and Michael Saunders trades, Melky is almost an afterthought. The acquisition of Michael Saunders all but ensures Melky Cabrera will not return to the Blue Jays. There’s still an outside chance he could come back, but Saunders is now a younger, much cheaper version of a similar outfielder. Melky’s asking price may have been prohibitive of him ever coming back, and thus Alex Anthopoulos opted for a more reasonable alternative. Judging by the deals already signed by Nelson Cruz and Nick Markakis, that appears to be a wise idea. And as the Blue Jays’ 2015 payroll continues to creep higher and higher (currently around $125 million), those dollars are now better allocated in Michael Saunders and some relief pitchers rather than just Melky Cabrera. Admittedly, it would’ve been great to have Melky Cabrera back with the Blue Jays and he would’ve added to an already potent Blue Jays lineup. But if the reports are true and he was seeking a five year deal, that’s just too long of a term and likely too expensive as well. 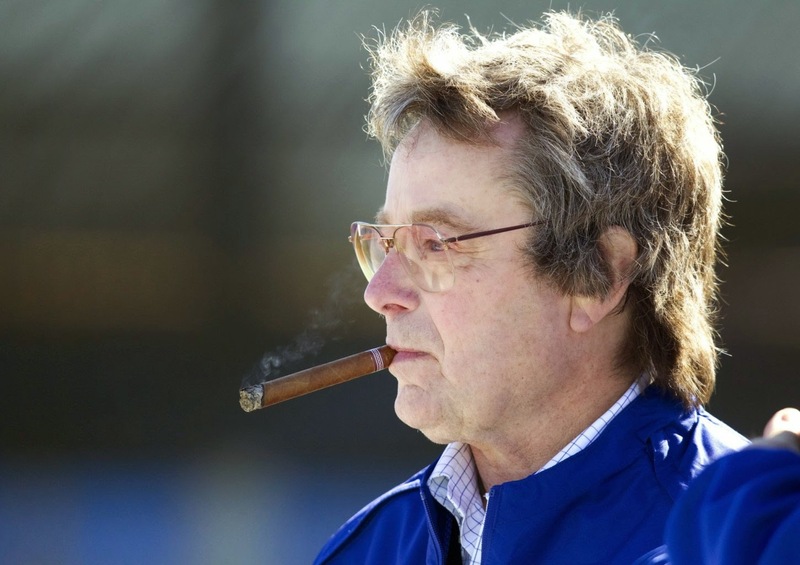 Is Paul Beeston's Departure Imminent? I think the door should still be open for Melky Cabrera to return if the price is reasonable. It doesn't haven't to be a bargain, but if the price for his return is just slightly ridiculous then AA should accept that as the cost of "winning now". If that happens, then the team isn't relying on Navarro to be the primary DH. Perhaps Navarro even becomes expendable.